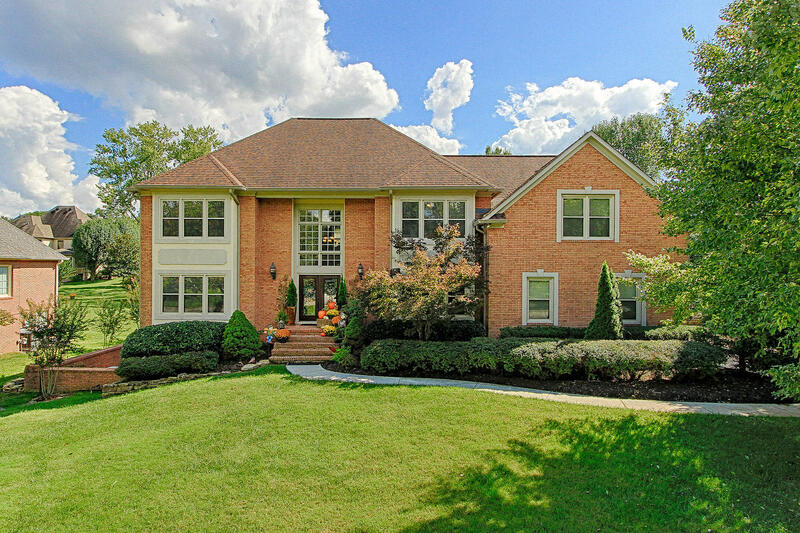 Stunning home in desirable Farragut subdivision! You will fall in love when you enter the front doors to your soaring two-story foyer. Main level Master Bedroom features a vaulted tongue and groove ceiling, huge walk-in closet, new gorgeous Master Bathroom with claw foot tub! Enjoy a cup of coffee by the stone stacked fireplace in the Morning Room, or curl up with a book in the formal Living Room. You will love cooking in your top of the line chef's Kitchen. Head upstairs to watch the big game in the Theater Room or play a game of pool on the custom pool table. Huge finished Basement could be an in-law suite with workshop! Don't miss the gorgeous outdoor space with covered porch, deck, and gardens! Additional features: main level Office, Dining Room, dual staircases, huge Walk-up Attic!